Professional selling is founded upon an attitude of service, motivated by a genuine desire to identify and satisfy your client’s problem. This becomes easier when you have the ability to see the world as your client does – and of course you also need to possess sound product knowledge, so as to present the right solution. It requires essential skills such as rapport building, active listening and problem solving. 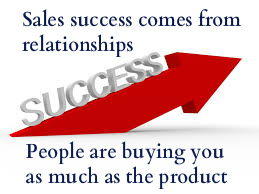 Many a sale has been lost because the salesperson has been speaking when they should have been listening! Finally, professional selling requires the desire, skills and system to stay in touch with clients and enable the building of strong, sustainable relationships. Sales Training Melbourne offer the opportunity to develop professional sales skills and a client focused attitude in your staff, whether they are working directly in sales roles or they are supporting sales. Everyone has opportunities to sell your products and service. Make sure that your staff are ready when the opportunity arises.